Posh Picnics at Picturesque Places. When guests come to Scotland on an incentive it's essential for them to spend time outdoors to appreciate our breathtaking scenery for themselves. That said an incentive is all about being rewarded so a treat is order of the day; what better than enjoying a picnic in a special part of Scotland? Bill took these pictures when he was with a group last week and the attendees from Russia enjoyed this posh picnic at Duntreath Castle. 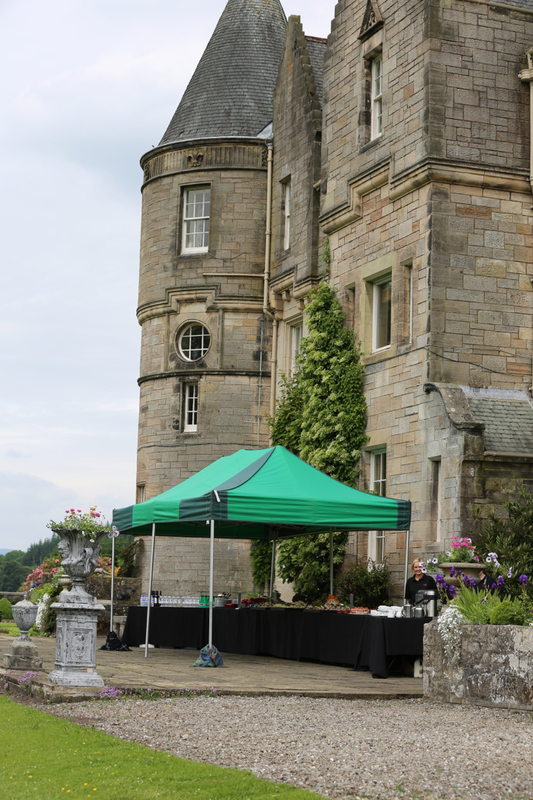 Hello Scotland’s ‘Posh Picnics’ is an impressive way to keep guests well fed with a bit of style. With the film The Great Gatsby all the rage at the moment, why not a add cocktails or Pimms or Hello Scotland can arrange for the group to arrive in luxury classic cars? 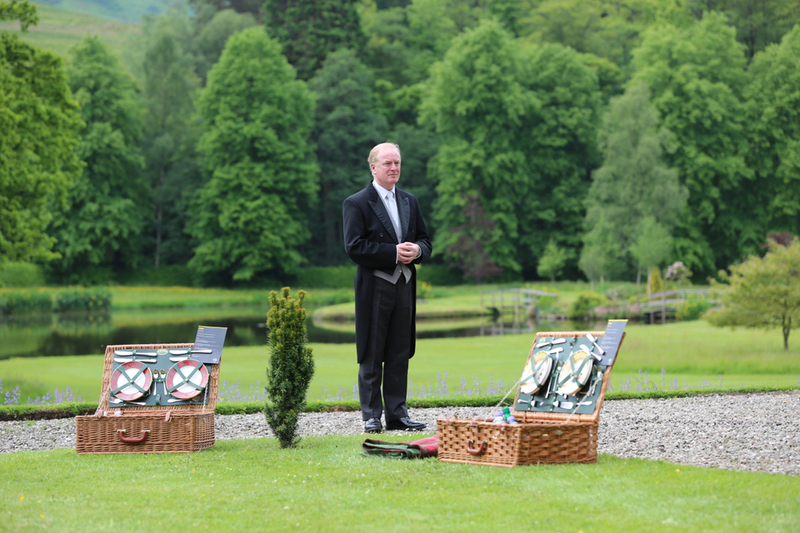 A picnic with your own butler, that’s our sort of picnic! Local seafood served with love from caterers TLC .